I just got this mysterious video clip, where Bruce Sterling seems to be talking about thinglinks at the Emerging Technology Conference in San Diego. 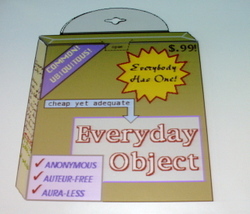 Sterling, if anybody, has got a scenario on unique identifiers for objects. Read Shaping things by Bruce Sterling.